The parish is bounded to the north by Warbstow and Jacobstow parishes, to the east by North Petherwin parish, and to the west by Tresmeer and Treneglos parishes. Tremaine village is 10 miles north-west of the town of Launceston near the River Ottery. The church of Tremaine, originally incorporated with that of Egloskerry, of which it is still a daughter church, was consecrated in 1481, under the name of the chapel of Winwallos of Tremene, having a cemetery adjoining, This was the period when in all probability, it became a separate parish. St Winwallos, stands in the village and is the smallest in Cornwall being just 45 feet in length. It is a Norman building dating from the 12th century and the northern wall still exists with a blocked Norman doorway. Some of the windows are later insertions, although the font is Norman. Additions to the church were made in the 13th and 14th centuries with the tower being added in the 16th century. The tower has two stages, is 31 feet in height, and is crowned with battlements and pinnacles. It contains three bells. 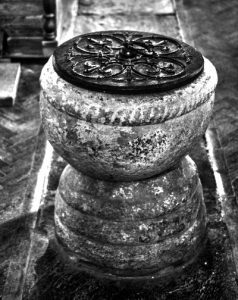 The font (above) is from the 12 century, and is decorated with roll moulding on the base and cable moulding around the bowl rim. It is of grey elvan stone. 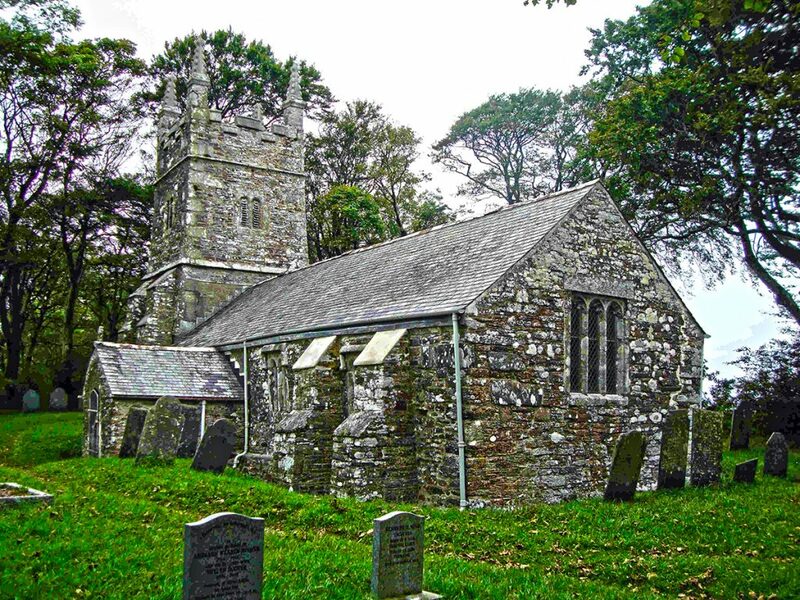 The church is believed to have been originally built by the Bottreaux family of Boscastle. In 1160 it was granted to the Priory of Launceston. The registers date from 1726. Castle Milford, the ancient seat of the Treisel family, which descended to Sir John Morshead, was then sold by that baronet to Mr. John Jolliffe in 1820. Tremaine Chapel re-opening in August 1961.